Geyser maintenance is absolutely necessary if you want to save on energy, billing and preventing geyser repairs or burst geyser replacements. Use a blanket to isolate your geyser, therefore, you’ll save energy for this will also contribute in keeping water hot. Set the geyser’s temperature to about 60 degrees Celsius which would also help you save on billing. Take advantage of a drip tray to drain away any leaks from the geyser if any may occur. Leaking geysers should be fixed because they can produce bigger problems and can also use more water,therefore, you will be billed more. Ensure that the thermostat and the element is properly covered by the cover provided with your geyser. Preventing corrosion to your geyser, a self-sacrificing anode is used. 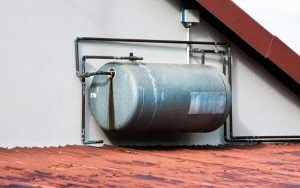 When the anode has no more metal left to prevent corrosion, it is best to replace the anode,therefore, increasing the lifespan of your geyser. Always ensure that your piping is in good order and that you have the correct pipe types installed. Service your geyser by a qualified plumber every 3 years. Solar Guru provides excellent geyser and burst geyser repairs in South-Africa. An assessment should be carried out to determine to cause of the problem your geyser is experiencing. Guru plumbers are well trained professionals who will do this assessment for you and accurately find the fault. Our team of professional plumbers will determine if the geyser can be fixed or if the geyser should be replaced, depending on the scale of problems. In a situation of a burst geyser, switch off the electrical power to your geyser and lights. Open your hot water taps to relieve pressure on the geyser and then turn off the water supply to the geyser. You can rest assured with Guru plumbers to effectively provide you with a burst geyser replacement. Generally, geysers do not burst or explode. Due to corrosion built up, geysers may fail in time. Very high temperatures. When the geyser’s thermostat fails, the geyser might heat up beyond boiling point leading to the geyser to burst or fail. 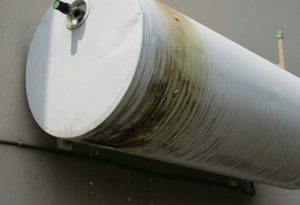 If regular geyser maintenance was not carried out, the geyser’s pressure valve might give in due to corrosion built up inside the geyser tank. Using low quality materials to maintain the geyser might result in leaks and can be accompanied by a burst geyser. Instead, use materials related to stainless steel and copper. Expansion and contraction of the geyser metal, especially during winter months, in other words, when cold water is replacing the warm water inside the geyser.This can lead to a burst geyser. Burst geysers are not uncommon, although our plumbers have replaced a lot of geysers in the Gauteng area. We ensure you quality geyser plumbing services for your money. All our plumbers use high-quality materials for all maintenance and repairs. Premium quality replacement geysers are offered to ensure you durability and longevity. Our plumbers are highly trained, fully equipped and prepared to handle any plumbing problems that you might have. Assessments will be conducted at your property to find the fault of you burst geyser to determine what needs to be fixed. Quotations will be handed out and our plumbers will fix all your geyser problems. Contact us for a quotation and any information regarding our plumbing services.